Vibrant colors and farming scenes are inspiring a new conversation about nutrition. Karla S. Chambers, a prominent figure in the food world, is the Co-owner of Stahlbush Island Farms. Stahlbush is an environmentally friendly farm and food processor committed to sustainable agriculture and exceptional quality in Corvallis, Oregon. 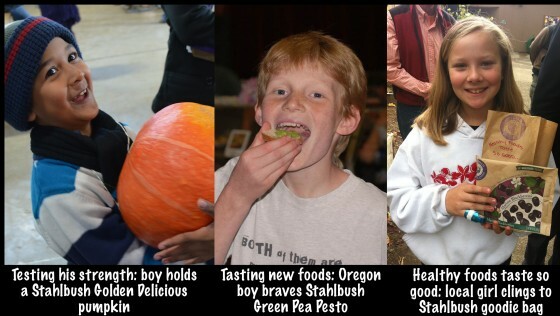 Stahlbush was recently named the 2013 Sustainable Plant of the Year by Food Engineering Magazine and Business of the Year by the Corvallis Chamber of Commerce. Stahlbush is unique in that it is a vertically integrated food company. As the farmer and the processor, Stahlbush is able to let food fully ripen on the vine to achieve peak ripeness, vibrant colors, and full-bodied flavors. The food is harvested and freshly frozen on the farm within 48 hours, sealing in a fresh-picked flavor. The Stahlbush “frozen is fresher” concept has become very popular among the company’s consumers that are trying to incorporate fruits and vegetables into the diets of picky eaters. “Never tried frozen until Stahlbush. My family eats more veggies now then they ever did,” said Paige Gill. “Our grand children don’t usually eat their dinner. However they ate your corn and had seconds. I must say your corn is the best I have ever had,” said J.D. 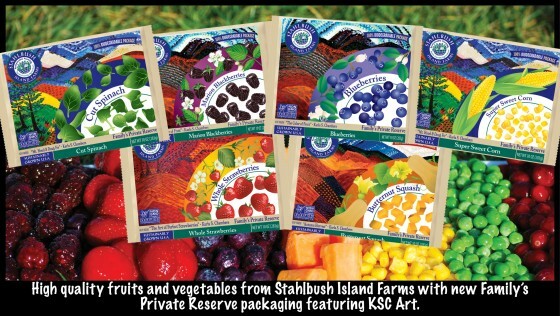 Stahlbush has selected 6 beloved products: Blueberries, Butternut Squash, Marion Blackberries, Spinach, Strawberries and Super Sweet Corn for a special distinction, The Family’s Private Reserve. The collection was hand-picked by the Chambers family. Each package will feature an original painting by Karla S. Chambers with a special introduction. The move was inspired by the wine industry’s use of art to convey the message of quality, sophisticated flavors, and unique style. 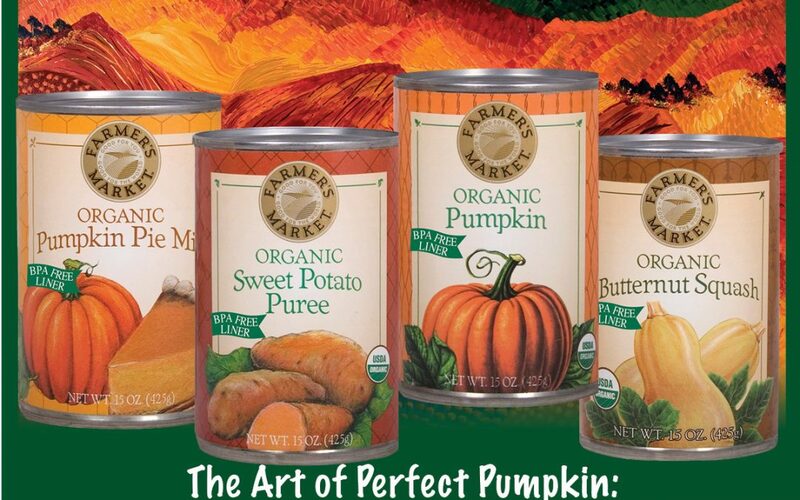 The new packaging prompted the largest art magazine, Art World News, to do a feature on the “Synergy of Organic Food & Art,” in October. The packaging is just one way that Stahlbush is using art to tell a story. Chambers paints using the colors of Stahlbush’s perfectly ripe produce: deep blueberry blues, strawberry reds, Marion blackberry purples, pumpkin oranges, and corn yellows. “I love color,” Chambers said. Being able to showcase the bounty of Stahlbush on a canvas offers a unique opportunity to spread the message that color and nutrition go hand in hand. “It’s as simple as looking at what is on your plate. A variety of color equals a well-balanced meal,” Chambers said. Since that day, Chambers’ plan to create a children’s education and art program has become a serious endeavor. The program will use her brightly colored paintings and Stahlbush’s colorful foods and resources as tools to help children understand the role that colors play in both the art and nutrition worlds. “I think this program has the potential to spread nationwide,” says Chambers. Childhood obesity has more than doubled in children and tripled in adolescents in the span of 30 years. Art programs in schools have all but disappeared, leaving a gap in creative expression. A program that addresses both of these needs could be very powerful Chambers says. Chambers will be painting at Expo West in Anaheim, California on March 8 to 10, where over 60,000 people will see the connection between her paintings and the food displayed at the booth.